In the final SmackDown Live before Wrestlemania, Kofi and Bryan sign the title match contract, 18 men and women compete in a huge mixed tag match, The Usos find out what they’ll be doing at Wrestlemania, The Miz takes on SAnitY, Becky Lynch stands on a table, and Kevin Owens brings Orton and Styles together for a fight. The final RAW before Wrestlemania featured some decent moments yet some odd choices heading into the biggest show of the year. Kofi Kingston faces a gauntlet match to try to qualify for Wrestlemania, Sasha Banks and Bayley finally show up on SmackDown to take on The IIconics, The Miz responds to Shane McMahon, and Kevin Owens brings Becky Lynch and Charlotte Flair together for a fight in a good episode of SmackDown Live. 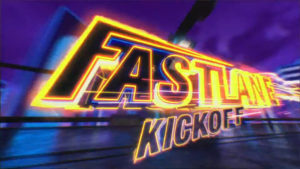 Xavier Woods and Big E take on Rusev and Shinsuke Nakamura as we prepare for Fastlane. Roman Reigns wants a Shield reunion, Aleister Black and Ricochet challenge The Revival for the RAW Tag Titles, Ronda Rousey has a change of heart, Heavy Machinery teaches other tag teams to “be a STAR,” Triple H has a message for Batista, and more on an up and down episode of WWE RAW. Batista crashes Ric Flair’s birthday celebration on an episode of RAW that also featured Lio Rush challenging Finn Balor for the IC Title, Becky Lynch again breaking her suspension, Aleister Black and Ricochet teaming up against the RAW Tag Champs, and the return of Roman Reigns. Rousey and Natalya team to take on Banks and Bayley, Heavy Machinery debuts in a RAW ring, The Revival get another title shot, Finn Balor takes on a giant, Rollins and McIntyre battle, and more on an okay but underwhelming episode of RAW. Rey Mysterio and Andrade deliver the first great SmackDown match of 2019, Miz hosts a birthday party for Shane McMahon, The Man and Asuka use The IIconics to prove a point, Samoa Joe makes a statement at the expense of Mustafa Ali, and Mandy Rose has a dumb plan to break up Jimmy Uso and Naomi. Braun Strowman’s antics cost him, but four men are eager to take advantage of Strowman’s mistake. Also, The IC Title is up for grabs in a triple threat, the women’s tag title belts are revealed, Rousey and Banks try to work together, the Riott Squad picks a fight with a surprise opponent, and more on a mostly good episode of RAW. Adam Cole faces EC3 and Bianca Belair tries to stay undefeated against Nikki Cross in a double main event on a good episode of NXT that also featured a very nice tag exhibition from the team of Fabian Aichner and Marcel Barthel. Aleister Black’s attacker is revealed on a show that also featured Mia Yim’s NXT debut against Aliyah, Kassius Ohno hitting some guy really hard, and the Undisputed Era having some trouble with EC3. Ricochet and Pete Dunne battle the Undisputed Era in a great main event on a very good episode of NXT. 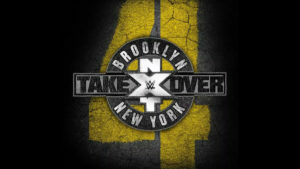 Pete Dunne defends the UK Title against Zack Gibson, and Deonna Purrazzo returns to NXT when she faces Bianca Belair in an episode of NXT that was otherwise a recap of Takeover: Brooklyn 4. NXT Takeover once again provides a great show with five great matches!